For this school project, we had to pick a word that had multiple visual definitions and create a marketing design for an existing company. I chose the word GAME and the nonprofit company Chysalis. Chysalis provides resources and support for the homeless to find and retain employment. 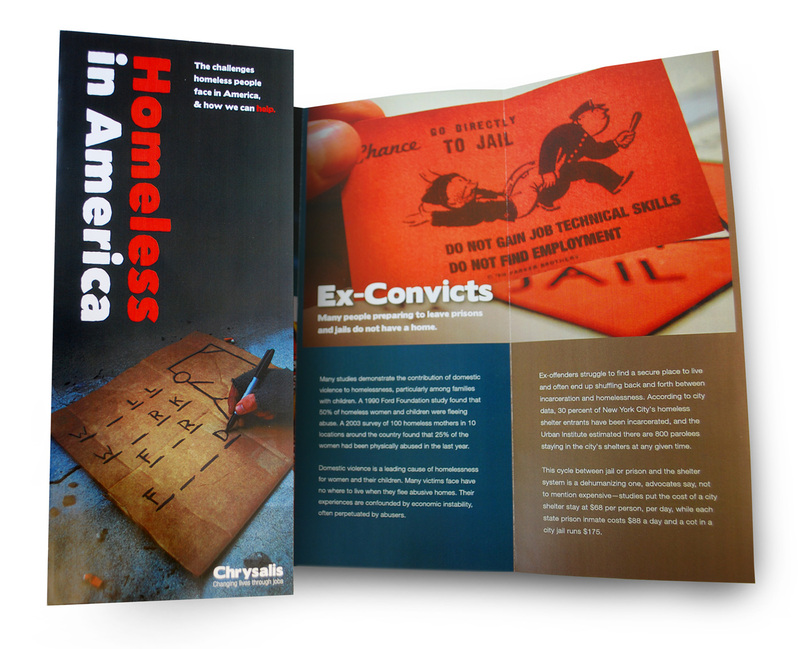 The brochure describes challenges faced by the homeless in America with factual information I researched. The word GAME is visually repeated with a game of hangman, Russian roulette, playing cards, & monopoly. 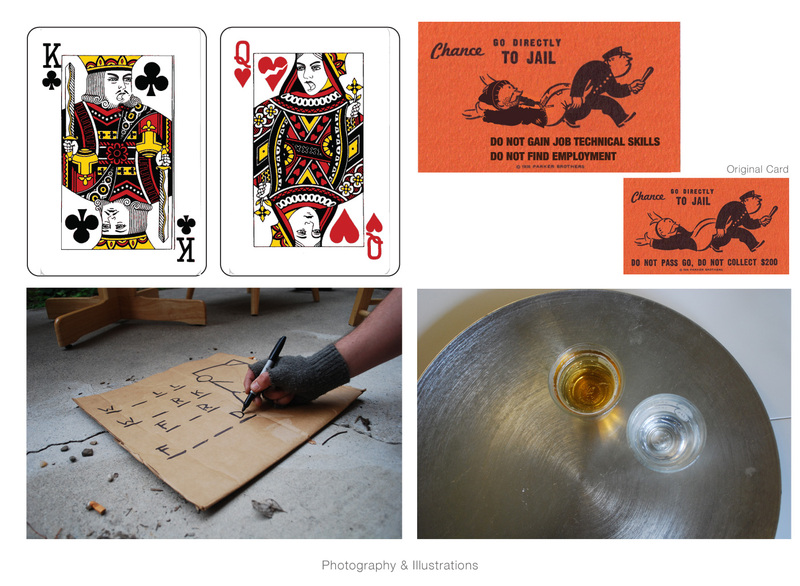 Each visual has a twist, hangman is being drawn by a homeless man with the phrase “will work for food.” Russian roulette is depicted with shot glasses. The playing cards are yelling at each other. The monopoly man on the card is dressed in shabby clothing. 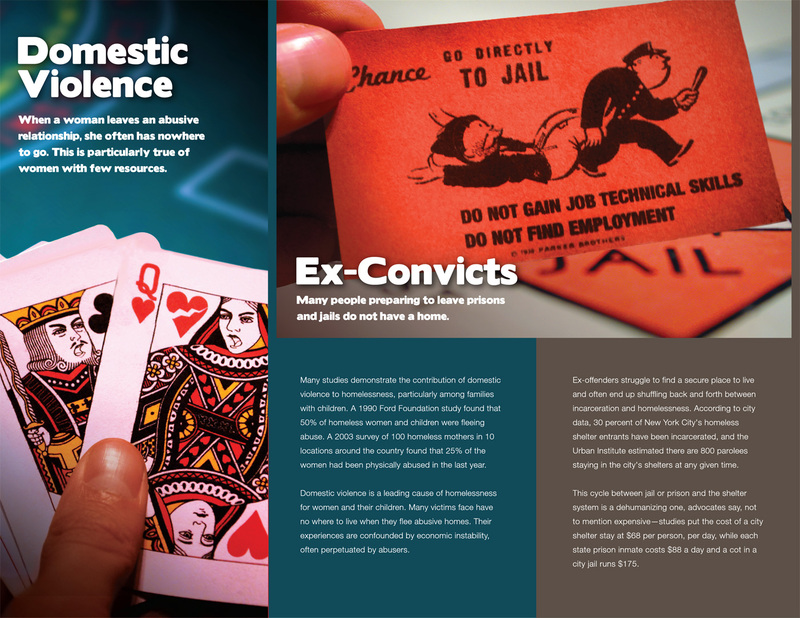 I created all of the illustrations and photography in the brochure. 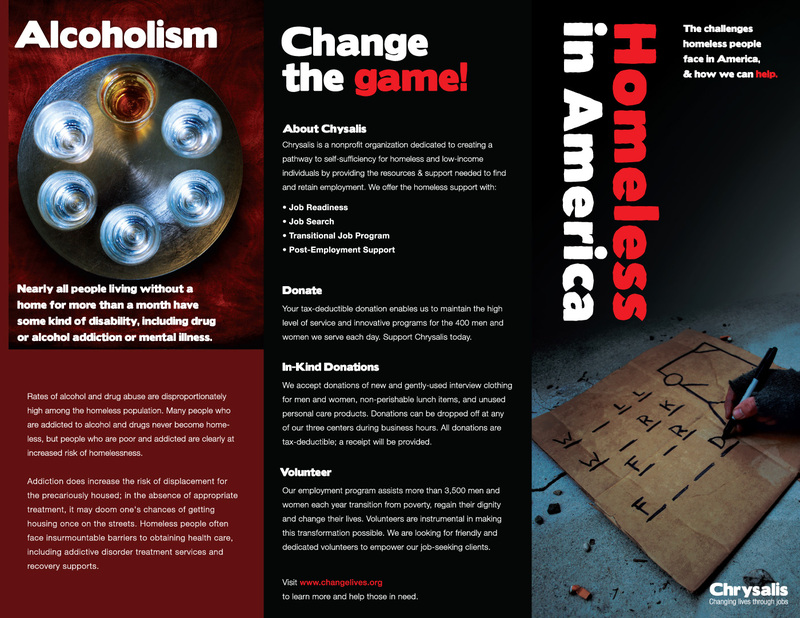 I enjoyed working on this project and coming up with twists on existing games and how they could apply to information about homelessness.